First-year goaltender will join program led by former Dubuque head coach Jason Lammers. Dubuque Fighting Saints goaltender Cole Weaver has committed to Niagara University to continue his hockey journey. 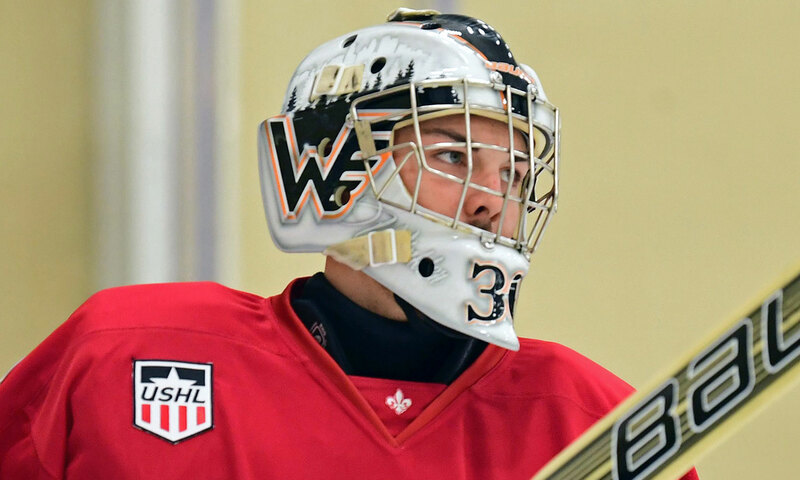 The first-year netminder will go on to the college ranks and join a program that is led by former Fighting Saints head coach and general manager Jason Lammers. Weaver has received the bulk of the starts lately, seeing action in five of the last six games. In that span, he has won three of those games, and picked up a point in four of them. Overall, Weaver carries a 6-3-1-0 record, a 2.15 GAA, and a .901 SV% through 10 games of action in Dubuque. Among qualified goaltenders, Weaver’s 2.15 GAA ranks fifth in the USHL. Niagara has shocked the college hockey world under Lammers’ direction. The Purple Eagles were picked to finish last in the Atlantic Hockey preseason poll, and at 9-5-2 in conference, and 10-10-2 overall, they sit in a tie for first place alongside Canisius College. Previously, Lammers led the Saints to two playoff runs, including a trip to the Clark Cup Final in 2016. Weaver is a native of Champlin, MN and previously played for the Winkler Flyers (MJHL), Omaha AAA (NAPHL) and Minnesota Magicians (NAHL). Headquartered in Chicago, Illinois, the USHL celebrates its 16th season as the nation's only Tier I junior hockey league in 2017-18. 30 or more players from the USHL have been selected in five consecutive NHL Drafts, and more than 400 players on team rosters last season committed to NCAA Division I schools, further establishing the USHL as the world’s foremost producer of junior hockey talent.